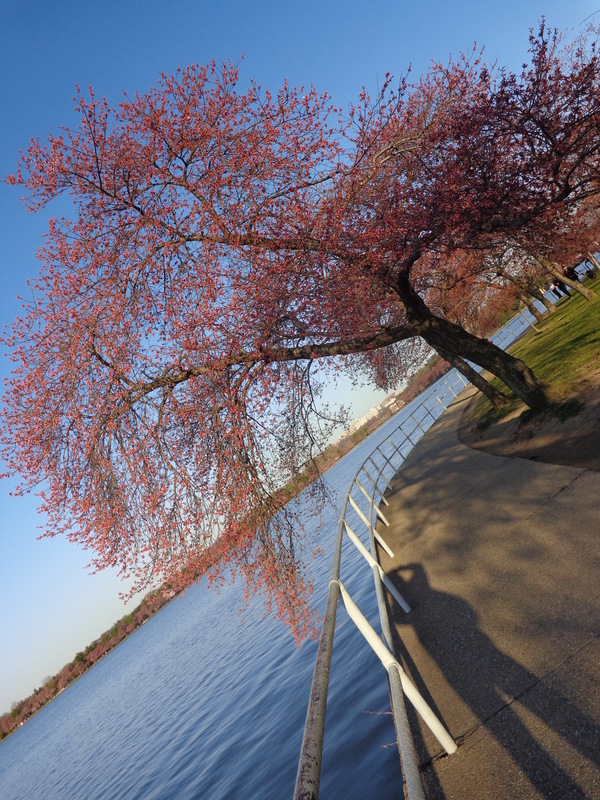 Each year, the Cherry Blossom in Washington DC, draws people from all over the USA,who come to enjoy the blooming of the many cherry trees adorning the perimeter of the Tidal Basin. 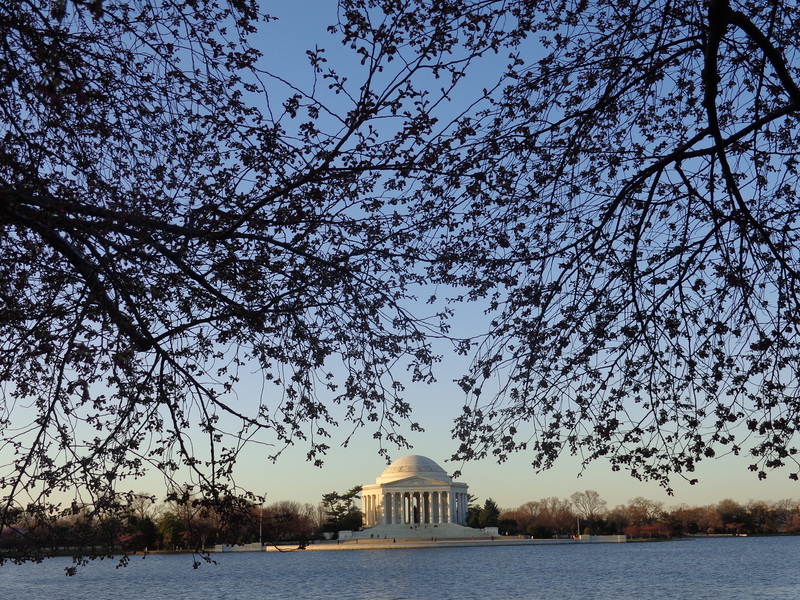 As I knew the Cherry Blossom Festival would be starting this weekend, on Saturday, I decided to head to DC at sunrise, in order to beat the crowds. 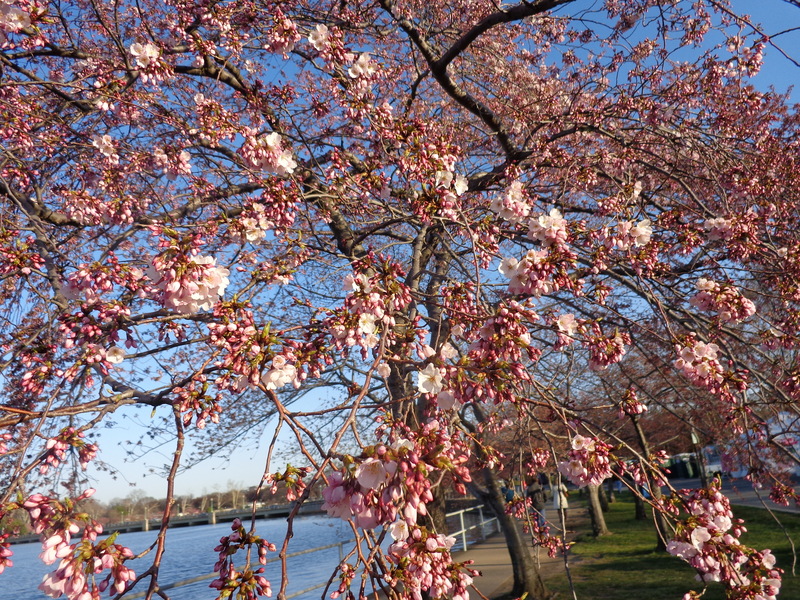 When I arrived in DC, I realized that due to the colder weather the area has been experiencing, many of the cherry trees were not blooming yet. 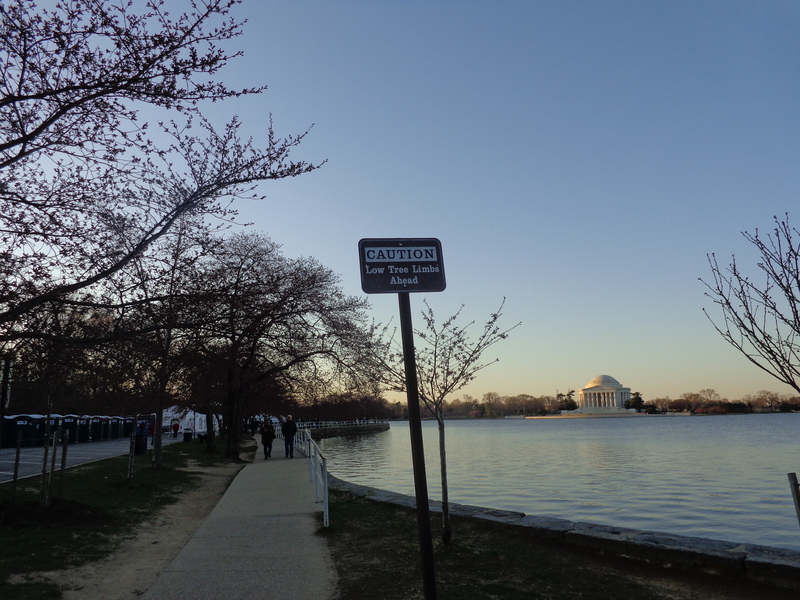 I decided to enjoy a walk along the Tidal Basin and take in the natural beauty, enhanced by the silent and peaceful atmosphere. There were signs of the anticipation to what was to come and workers were starting to set up for the festival. 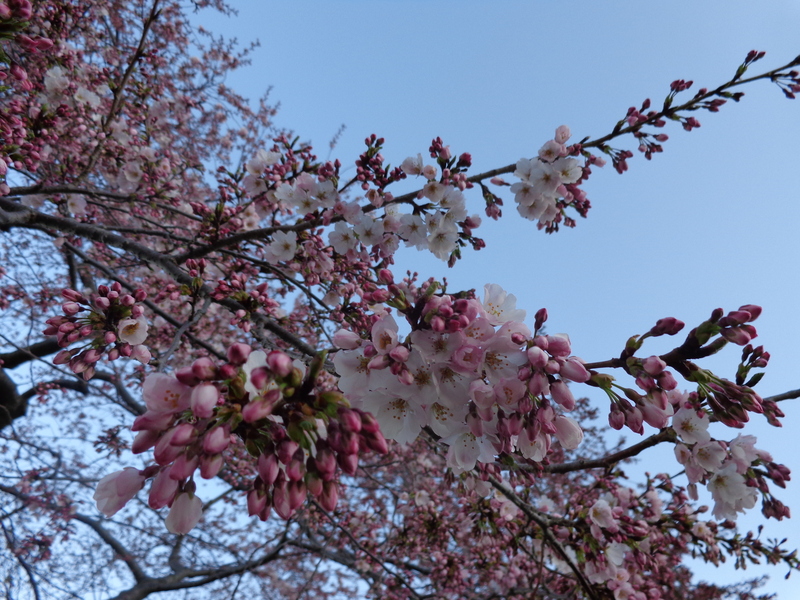 Although only a few trees were starting to bloom, I was thinking of how enjoyable the whole experience was turning out to be. I could enjoy the natural beauty in silence. I thought of how crowded the event would become just a few hours later. 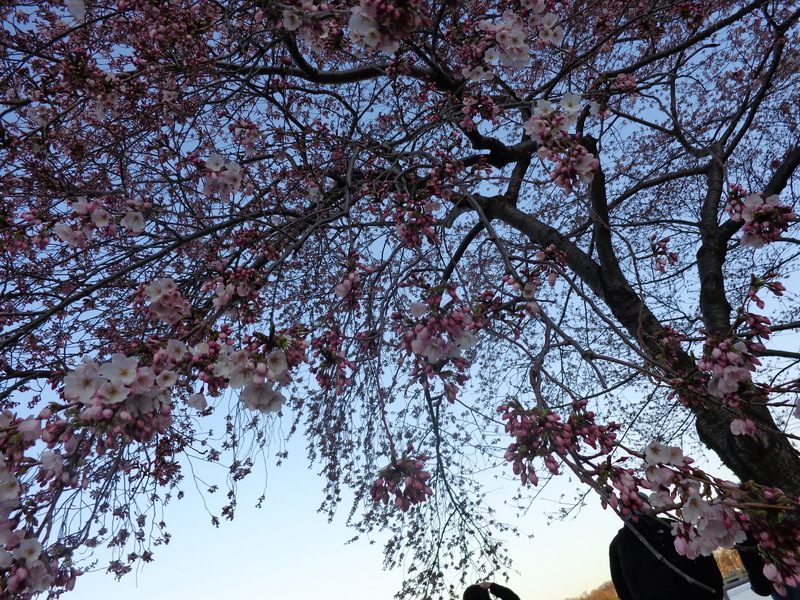 I felt that although the trees were not in full bloom, their beauty, their suggestion of what was to come was just as beautiful. As I walked along the waterfront, under the quiet, still natural beauty, I had a flash of one of my favorite Italian poems, Il Sabato del Villaggio by Giacomo Leopardi. The words of the poem, which I had memorized scores of years before, when I was a young student in Sicily, those words started running through my mind. I suddenly felt the message was holding true on what I was experienceing at that moment. The poem offers many metaphors about life. However, the theme that related to what was happpening to me at that moment was that often the celebration, the happiness tied to an event occurs in the anticipation of the event and not in the event itself. As I breathed the anticipation of what was to come on that Saturday morning I felt so happy inside and surrounded by beauty. I thought how much more enjoyable this experience was than finding myself caught up in the suffocating crowds that would be visiting that same site just hours later. 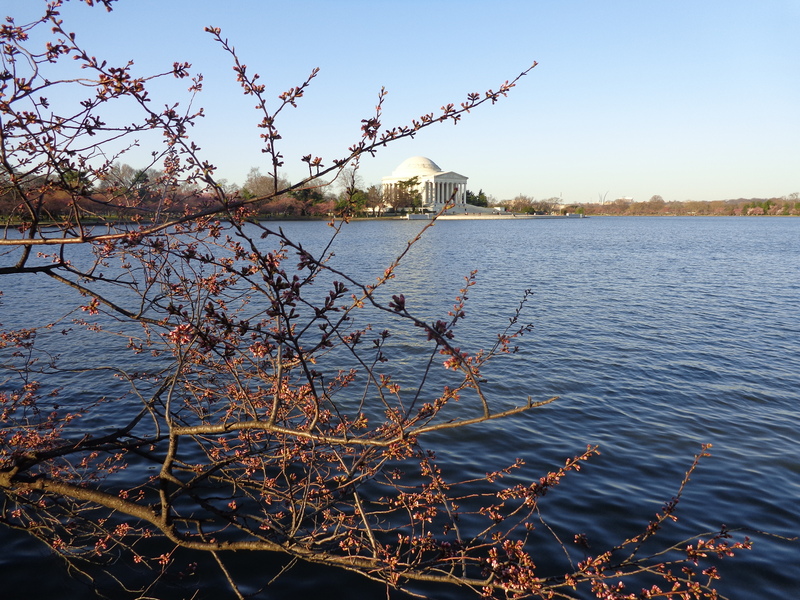 You can see the Cherry Blossoms in full bloom in this blog in a post of Spring 2012. At that time, as I was in Sicily, my neighbor Ann sent me the pictures which I posted.